One thing is certain when it comes to developing an energy policy: we must reduce our dependency on oil and other fossil fuels. The reasons for doing so are global climate change, which is directly linked to the amount of carbon dioxide (CO2) in the atmosphere, and "peak oil", which means that the amount of oil available worldwide has reached a maximum and will only decline in the future. Additional oil may be available through alternative means of extraction; however, those processes are more costly and will surely drive up the price of oil as well as have a greater adverse impact on the environment. As if to underscore this last point, the massive oil pollution of the Gulf of Mexico demonstrates the risks of relying on "safe" processes that only need to fail once to have a devastating negative impact! The sooner we reduce our dependence on petroleum, the quicker we will take our country and its economy into a cleaner, safer future. Improved conservation - the least expensive energy is the energy we don't use. We need to continue to support programs like Efficiency Vermont that helps homeowners and businesses reduce their energy consumption. Wind - Our atmosphere itself is a great source of energy. Proper siting of wind generators so as to have minimal impact on our signature landscape is a small price to pay for the amount of energy we can generate via wind. Of course, wind can only be part of the energy equation, but it can play a significant part. Solar - Solar hot water systems are one of the least expensive means of making use of the sun's endless supply of energy for homeowners. 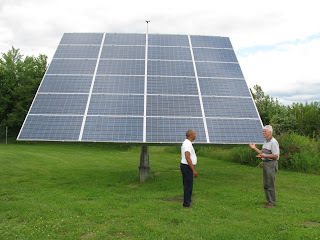 Advances in photovoltaic systems is also making them more affordable both at the residential level and as power generation installations like the solar array generating electricity in Hinesburg. Federal and state tax credits for these systems should be continued to encourage further use of these clean energy generation technologies. Hydro power - Vermont has significant in-state hydroelectric generation, but our biggest source is our contract with Hydro Quebec. This contract will be coming up for renewal and Vermont should partner with New Hampshire and Maine to obtain the best rate possible. We should also look into negotiating the purchase of the hydroelectric dams on the Connecticut River that the Douglas administration let slip from our hands several years ago. Bio-fuels - Vermont has large sustainable sources of renewable bio-fuels such as wood. We should encourage the use of efficient wood-burning for heating purposes as well as power generation. The energy tax credits and the rebate programs sponsored by the state are examples of the support we need to give to this energy alternative. Vermont Yankee - The question of whether or not to renew the operating license for the Vermont Yankee nuclear power plant will probably be resolved during the 2010 legislative session. Given current circumstances, I would favor denial of the license renewal. The problem that I see in terms of both the reliability and the safety of VY is that our choices for renewing the license are limited to 0 or 20 years and nothing between. If we could approve the license renewal in 5 year increments, I would be more favorable. In the long run, however, there are other problems with the continued operation of VY. One is the question of the long-term storage of the nuclear waste which now sits on the banks of the Connecticut River in dry cask containment units. There is no current nor forseeable plan to relocate this material which will remain radioactive for tens of thousands of years. Why add to it? Furthermore, while VY is a relatively inexpensive source of electricity for Vermont at this time, the rate proposal its parent company, Entergy, is offering does not seem to be a good deal in the eyes of neither the legislature nor the state's electric utilities, GMP and CVPS. Finally, the proposed spinoff of VY and 4 other out-of-state nuclear power plants by Entergy into a new company could jeopardize the ability of VY to fully fund the decomissioning of the plant or to pay for any possible future environmental damage caused by a plant failure. In my opinion, the negatives outweigh the positives on this issue. The Oil spill disaster in the Gulf should also remind us that all it takes is one major failure to create a nuclear environmental disaster at this aging plant. The bottom line is that we must support initiatives to take advantage of renewable and alternative energy sources to power Vermont's future. In these challenging economic times the most pressing problem for Vermont government is how to balance the state budget. 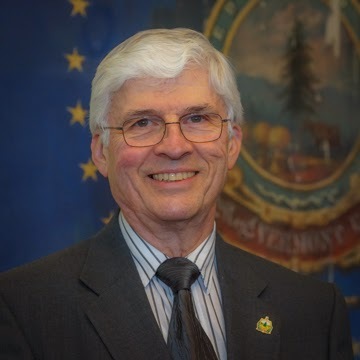 The 2009 budget was starkly reduced because of reduced revenues and passed only because the legislature overrode Governor Douglas' veto. Revenues have once again fallen behind original projections and required the legislature and the Governor to try to find the proper balance between cuts and tax increases. There is probably no one that has an definitive solution to the problem of balancing state revenues with expenditures. This problem will continue to be an issue for the 2010 election and the elected officials who will have to deal with it in January, 2011. As pressing as the budget problem is, there are other issues that are just as important and which are directly affected by it. It is the responsibility of each legislator, whether in the House or the Senate, to weigh the pros and cons of each and every reduction in services as well as every tax increase that will be necessary to keep Vermont's government vital and viable. In addition, there are policy decisions to be made that will affect the future direction of Vermont and our ability to maintain a healthy economy, a healthy environment and a healthy population. Each of the issues below require attention and should be factors in your decision on whom to send to Montpelier in 2010. Agriculture is a significant part of Vermont's economy, culture and tradition, and dairy farming, which comprises 85% of Vermont agriculture, is probably the most iconic form. As such it is a large component of tourism, another driver of Vermont's economy. I am not a farmer, so I have a lot to learn about this aspect of Vermont; however, I know that dairy farmers in Vermont are in crisis. I attended the Dairy Farming Town Meeting organized by Senator Bernie Sanders on February 13th. Farmers from around the northeast, including Maine, New Hampshire and New York, as well as from Vermont, attended the meeting. It is no secret that the price farmers get for milk is well below the cost of producing that milk. What I learned at the meeting is that This unsustainable situation has led to the the loss of more than one Vermont dairy farm per month on average during the last 2 years. The price farmers get for milk is driven primarily by milk processors with the federal government regulating minimum wholesale prices. This system puts small farmers at a disadvantage, and the challenge is to leverage their influence through cooperative agreements. After talking to several local farmers, I learned that another way to increase the value of milk production is by processing some of the milk locally. The state of Vermont can support family farming by facilitating regional partnerships spanning state borders to counter the leverage enjoyed by major milk processors, and by providing low cost loans for local value-add production facilities. Apart from dairy farming, the "locavore" movement has created opportunities to supply locally grown high-quality produce to consumers, thereby reducing the carbon-footprint of food consumption. State government departments with food purchase requirements, e.g. prisons, schools, cafeterias, should be encouraged, if not required, to obtain a reasonable percentage of that food from local producers. I am open to comments about my ideas as well as suggestions for improvements or additions to the ideas stated above. To many the word "government" has become a bad word ever since President Ronald Reagan defined government as "the problem, not the solution." In fact government is the superstructure of an orderly society. Government is especially necessary in a complex society with competing interests and requirements. We in Vermont are blessed with a state government that has a close relationship with us, the governed. Few states can boast of the accessibility we Vermonters have to our elected officials. The role of government is to do collectively what we cannot do individually. In order to operate, government needs revenues; and the only way it can get revenues is by assessing taxes. So, the job of the decision-makers, i.e. the legislature and the governor, is to balance the operational needs against the ability to raise revenue. In these challenging economic times there is probably no one that has a definitive solution to the problem of balancing state revenues with expenditures. But whatever steps are taken to resolve this problem, it will be necessary to be consistent with the idea that since government exists to serve the governed, it is in times of crisis that government must do the most to help those most affected by the crisis. Unfortunately, those most affected by an economic crisis are usually those with the least amount of influence. It has always been the goal of the Democratic Party philosophy to represent this segment of the community. When budget decisions are made, we must take into account the effects those decisions will have on our children and our elderly, on those who lost jobs in this economy, on the quality of our environment, on our farmers and our entrepreneurs, and on the future economic prospects of our youth. We cannot continue to cut services when more services are needed; nor can we ignore the burden of taxation on those who are barely keeping their heads above water. While I don't have any magic bullet solutions to these problems, I will work hard with other legislators to find them. The closing of the Champlain Bridge between Addison, VT, and Crown Point, NY, points out the danger of being penny-wise and pound-foolish. Studies show that 50% of Vermont's bridges are in need of repair. Yet for decades there has not been sufficient support for raising gasoline taxes to help pay for transportation infrastucture improvements. It is not until a bridge is declared too dangerous to drive across that we finally sit up and take notice and spend the money to fix it. The bridge in Richmond was another example of that approach. Another example is the way cuts were made to the state employee pool. Instead of assessing the impact the loss of a given job would have, as the legislature requested, the Douglas administration made cuts across the board. Case workers in the health department were reduced leaving many communities without assistance for families with newborns and children at risk of not being sufficiently prepared to enter school. Many of our rural families depend on counseling to give their children a good start in school. This is also being penny-wise and pound-foolish because children who start out behind will often stay behind and have a greater potential to get in trouble during their teen years. The bottom line is that sufficient revenue must be generated to meet the requirements of effective government. The only way to achieve greater revenues is to have a healthy economy. Prosperity increases the ability of each of us to contribute our share to the tax pool. Taxation should not create an undue burden on any one group compared to another, so we need to distribute the burden using a variety of sources, including income taxes, property taxes, sales and use taxes, and specialty taxes like those on alcohol, tobacco and gasoline. Morever, we must create the jobs that will create the ability for people to pay those taxes. And that is another issue for discussion. The economic downturn of 2009 has not left Vermont unscathed, although our situation is certainly not as dire those of other parts of our country. Vermont has been losing high-paying jobs even before the financial crisis of 2008-2009. Job creation in Vermont is a difficult nut to crack, but it is a key element in keeping Vermont's economic and social fabric healthy. We have seen numerous and innovative entrepreneurial enterprises spring up during the last decade in Vermont; but we have also seen huge reductions of personnel by major employers as well as the closure of smaller manufacturing enterprises. Reductions in both residential and commercial building activity have also had an impact on our workforce. The same is true for employees of the state due to decreased tax revenues and for teachers due to declining student populations. Efforts to disincline Vermont youth from leaving the state are hampered by the limited job opportunites that exist here. That's the problem. But what's the solution? The best thing that Vermont has going for it is that it is a great place to live. Many residents of Vermont telecommute to jobs in Boston, New York and elsewhere simply because they want to live in Vermont. We can improve the opportunities for working remotely in Vermont by improving our broadband infrastructure. High-speed internet access is a requirement for this type of potential. It will also improve the ability of Vermont-based companies to do business online. Another prerequisite for a healthy economy is the availability of sustainable and affordable energy. With Vemont Yankee's future in question and our contract with Hydro Quebec coming up for renewal soon, we have to have a plan for our energy future. See my position on energy here. There is a great potential for job creation in Vermont with the growth of green energy. State policy should continue to support innovative companies like NRG Systems, All Earth Renewables, Gro-Solar, and the wind and solar system installation sector. Vermont should also support smaller startup businesses via grants and tax incentives to encourage business growth while working with large employers like IBM to bring more jobs into Vermont instead of exporting them out of state and out of country. Finally, we must continue to guarantee the continued excellence of our educational system to ensure that Vermont will have a well-qualified workforce that will attract employers to our state. I welcome your questions and your comments on issues that are important to you. Send me an e-mail (myantachka.dfa@gmail.com) or give me a call (802-233-5238). If you plan to be in Montpelier while the legislature is in session, please get in touch. Leave a note and contact info with the Sergeant at Arms in the main foyer, and it should get to me. If you can let me know ahead of time when you'll be there, that would help as well. I am on the House Energy & Technology Committee, and our Committee Room is on the 4th floor. When President John F. Kennedy said in his inaugural address, “Ask not what your country can do for you; ask what you can do for your country,” these words, together with the philosophy of service I learned in the Boy Scouts of America, inspired me. I began my political activism working for the Presidential election campaign of Senator Eugene McCarthy. I graduated from King's College in Wilkes-Barre, PA, with a degree in Mathematics followed by a Master of Science degree in Mathematics from Rensselaer Polytechnic Institute. My 36 year career in the field of Computer Science started with Pratt & Whitney Aircraft and included stints with Computer Sciences Corporation and Simmonds Precision before I joined IBM in 1981. In 2005 I retired from IBM and took up a new career as a Tax Specialist at H&R Block, a nice seasonal job that I held for 11 years and gave me a lot of time to attend to gardening, hiking and family, as well as the local political scene. 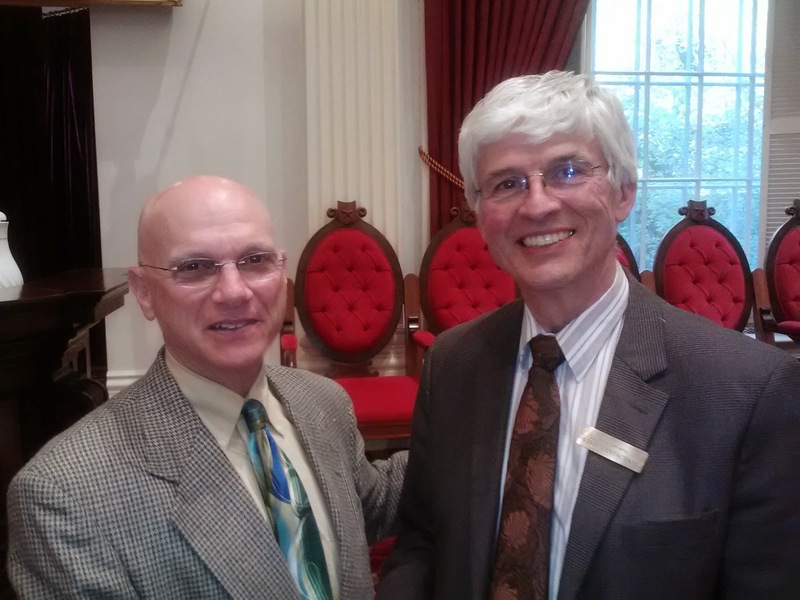 I have served in the Vermont House of Representatives since January, 2011. I became involved in local Democratic politics wherever I lived, including Pennsylvania, Connecticut, New Jersey, and finally in 1978 in Vermont. I love the Vermont political system because it is so close to the people. I have never missed a Town Meeting, either in Shelburne where I lived for 8 years, or in Charlotte where I currently reside with my wife, Janet. I am the proud father of Dr. Julianne Icatar married to Roneil Icatar, Mark Yantachka married to Elizabeth Thibault, Jessica Yantachka, Jennifer Corman married to Kelly Corman, and Jackie Yantachka. We also have 9 wonderful grandchildren. Since I've lived in Charlotte, I held the office of Justice of the Peace from 1993 until 2017, and I served on the Charlotte Central School Board from 1998 - 2003. I was elected Chairman of the Charlotte Democratic Committee in 1997 and held that post for 10 years. I was elected Chairman of the Chittenden County Democratic Committee in July, 2006, and again in October, 2007, for a 2 year term. Having been elected to the Vermont House of Representatives in 2010, I served on the House Natural Resources and Energy Committee until 2017. After a reorganization of House committees in 2017, I continued my service as a member of the Energy & Technology Committee which has jurisdiction over energy, telecommunications and IT services. I was proud to have assisted in developing several pieces of legislation that promoted renewable energy development in Vermont as well as a solid waste bill expanding recycling and composting to extend the life of our single remaining landfill. I also added my support to bills promoting affordable health care, a sustainable working landscape, telecommunications enhancement, an increased minimum wage, and paid sick leave for working families. More information about my work in the legislature can be found here. When the Legislature is in session I regularly write columns for both The Charlotte News and for The Citizen, two local newspapers serving Charlotte. I also co-host the Chittenden County Democrats Show on Burlington's Community Access TV station, CCTV Channel 17 on the first Monday of the month. I post my columns and many of the TV shows on this website.